Harrison Lee, MD, DMD, FACS is a highly respected bi-coastal facial plastic surgeon. His plastic surgery practices are located in Beverly Hills (Los Angeles, CA) and Manhattan (NYC, New York). 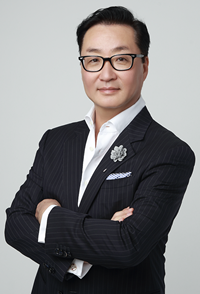 Before opening his private plastic surgery practices, Dr. Harrison Lee spent nearly 18 years pursuing medical and surgical training, including a focus on the human face. In addition to studying head and neck surgery, and facial plastic and reconstructive surgery, he also received a dental degree and completed a residency in oral and maxillo-facial surgery. Dr. Lee’s impressive background also includes a triple board certification by the American Board of Facial Plastic & Reconstructive Surgery , the American Board of Otolaryngology-Head and Neck Surgery, and the American Board of Otolaryngology-Head and Neck Surgery. As a result of this varied and extensive training, Dr. Lee has helped thousands of patients with unique and often difficult facial surgical procedures, such as bone contouring and silicone removal. International Pacific Cosmetic Surgery Symposium, Inc.
Management of Bilateral Glottic Tumors. 12/02/86 Lee HY: Oral and Oropharyngeal Carcinoma. Hartz A, Green MD, Yoho R, Lee H: A New Tool for Assessing Standard of Care in Medical Malpractice Cases. Plast Reconstr SurgA 17:1, 2006. Lee HY. Samit A. Mashberg A: Extensive Post-Traumatic Subcutaneous Emphysema and Pneumomediastinum Following a Minor Facial Injury.